Empty Space is a work of dark, atmospheric, post-punk, comprised entirely of treated guitars, bass, & drum machines. 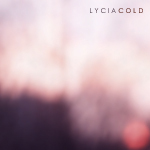 It is perhaps Lycia’s closest brush with making a pop-oriented album, though the cold rhythms of the vintage drum machine are just pieces of a much larger picture. Mike’s whispered, desert-parched musings duel with Tara’s more ethereal vocals & land atop shimmering, melodic, treble-boosted guitar lines. The result is a sound that’s more Durutti Column than Cabaret Voltaire, & more Chameleons than Joy Division, but always recognizable as Lycia. 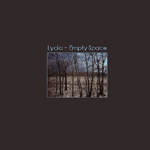 In this way, Empty Space is a return to the original atmospheric post-punk style Lycia helped birth back in the late-80’s, before 1991’s groundbreaking Ionia & 1993’s apocalyptic A Day In The Stark Corner. 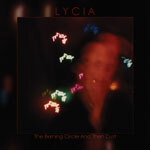 The return to form was made authentic by the involvement of original member John Fair (drum programs) & longtime member David Galas (bass), who once again teamed up with Mike VanPortfleet & Tara VanFlower to create what would be this, the final Lycia album. 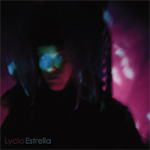 Estrella was Lycia’s last proper studio album (Empty Space was unfinished and Tripping Back Into The Broken Days was recorded and mixed as an Estraya release). The songs on Estrella were originally written in 1996 & fleshed out over a fifty show tour. Eight years later, Mike VanPortfleet has revisited the songs to remaster them using the engineering skills he’s improved over this time as well as the improvements of technology to make a definitive version of the release uncompromised by the hands of others. The artwork has been restored to the original version, unaltered from the artistic vision meant to match the music. The goal of Estrella was to mix the lush orchestral sound VanPortfleet had developed over the previous eight years that had culminated in Cold with the more up-tempo rhythmic style of Wake & the unreleased Byzantine era. Estrella also marks Tara VanFlower’s move to primary vocalist & lyricist, enlarging the band’s ethereal fan base. Estrella became an instant hit within the darkwave genre, but now is the time to realize it’s a classic that transcends genre barriers.